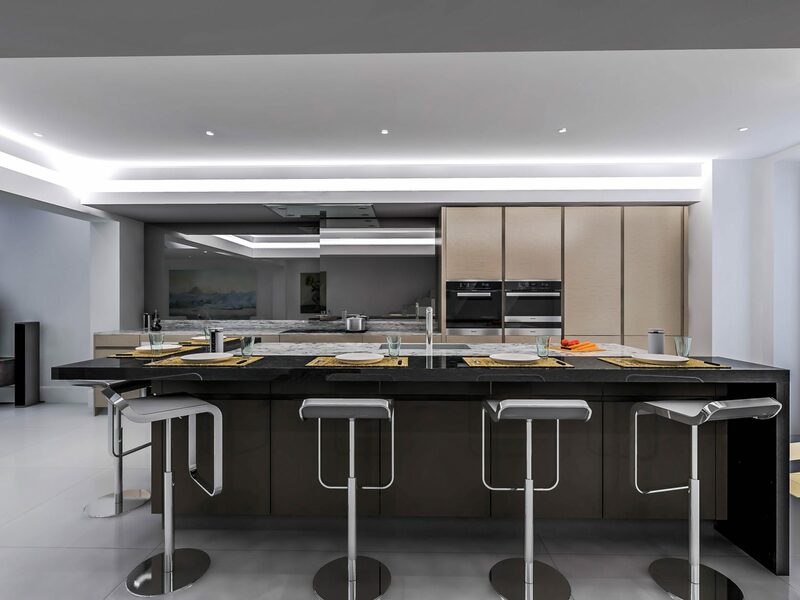 One of the most prevailing stereotypes of modern kitchens is the lack of colour; they’re either all black, all white, or some mish mash of the two. 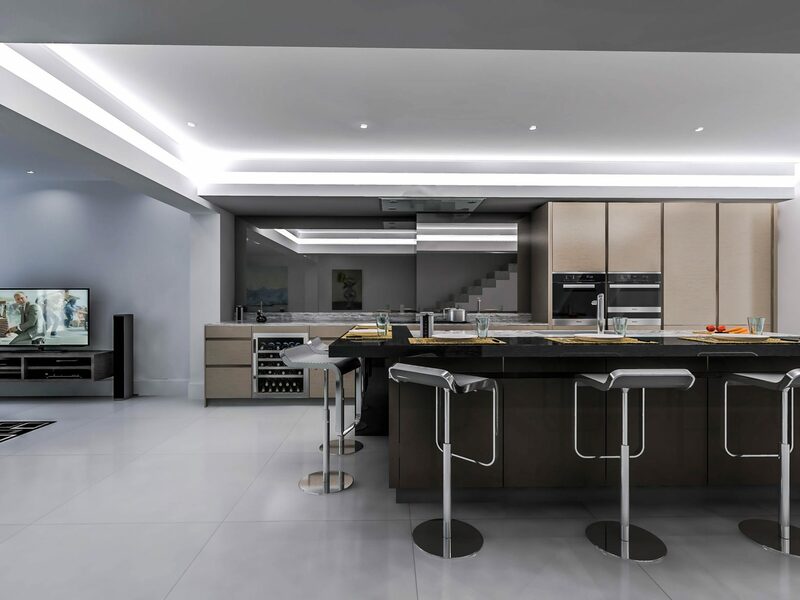 Any of our installations that buck the trend are ones that we are only too happy to take pride in. 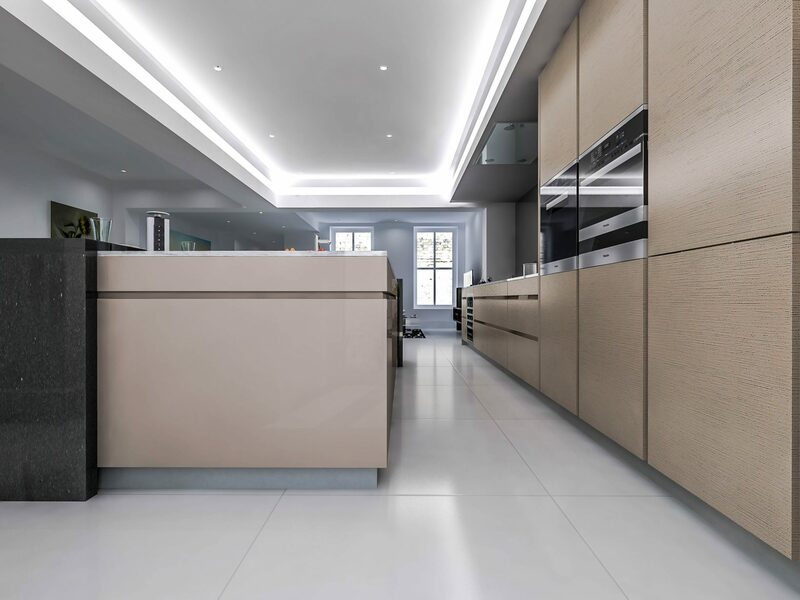 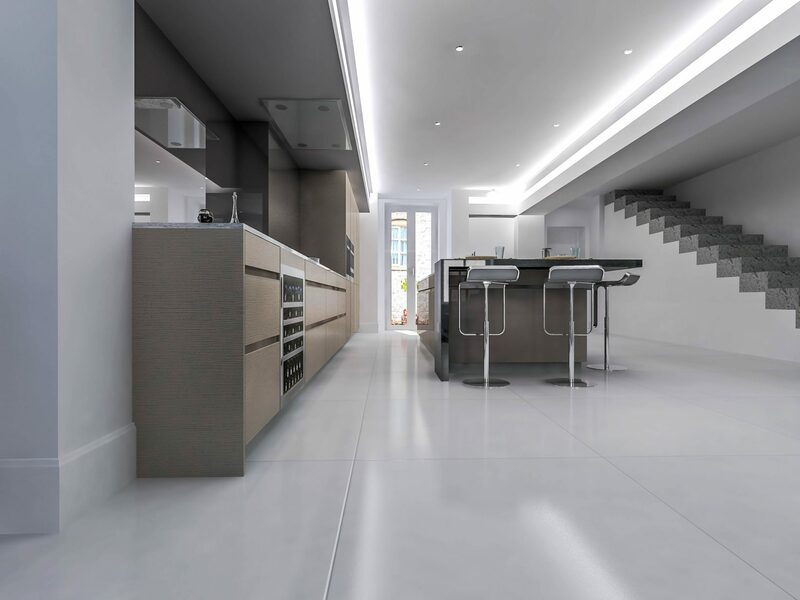 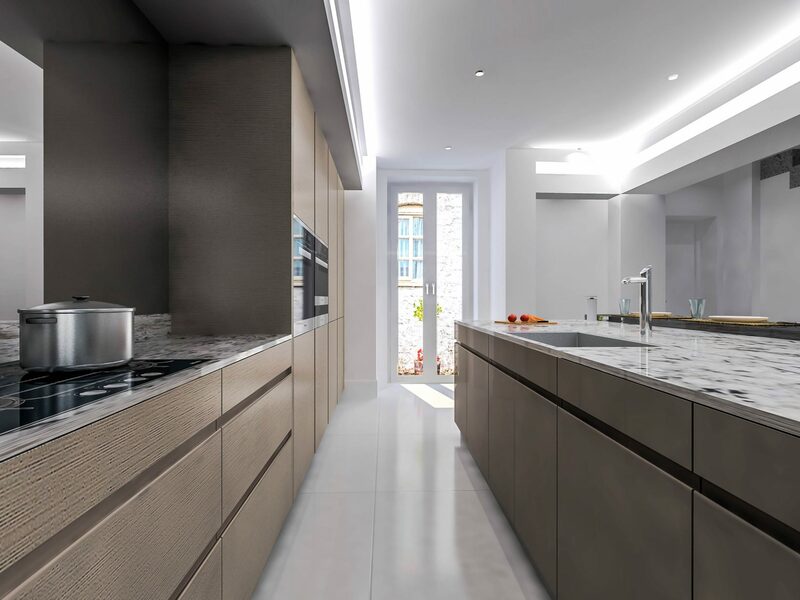 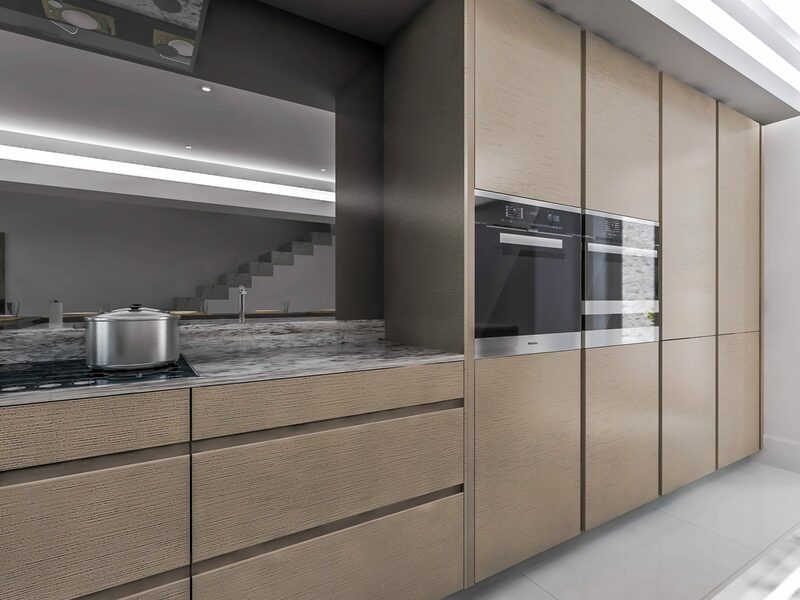 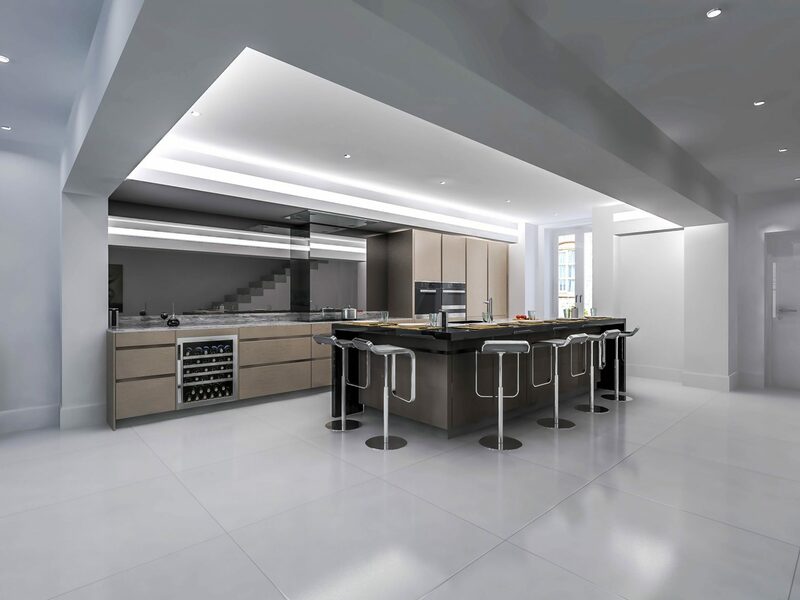 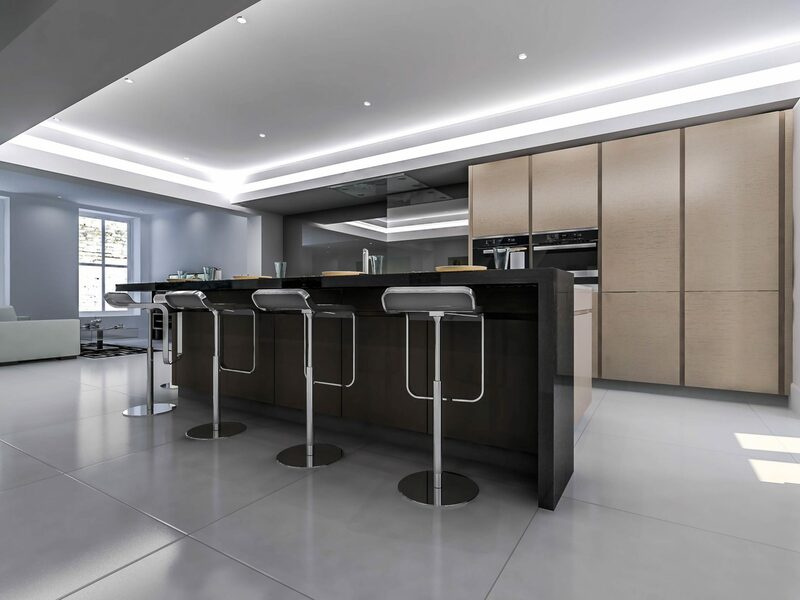 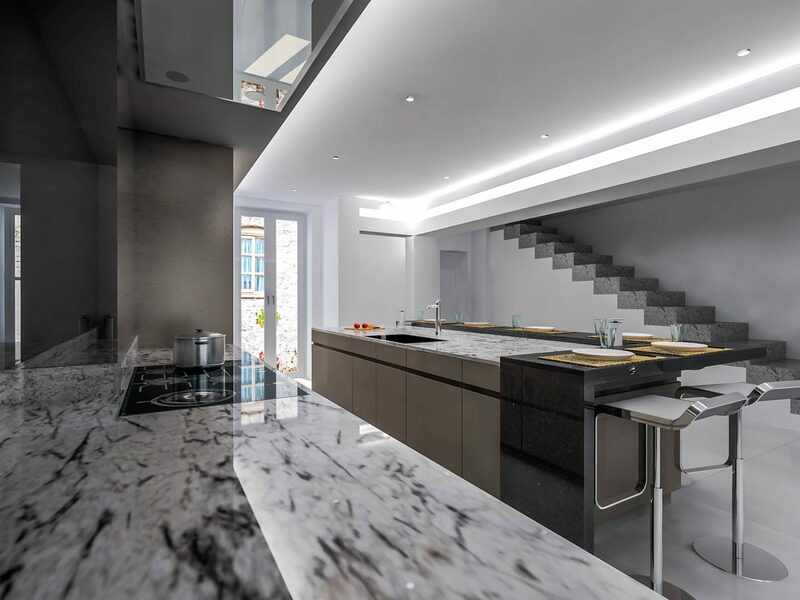 This beautiful Silke designed kitchen features Sand Grey handleless lacquered doors and metallic laminate plinths, accented with stainless steel appliances and accessories to create a truly unique impression. 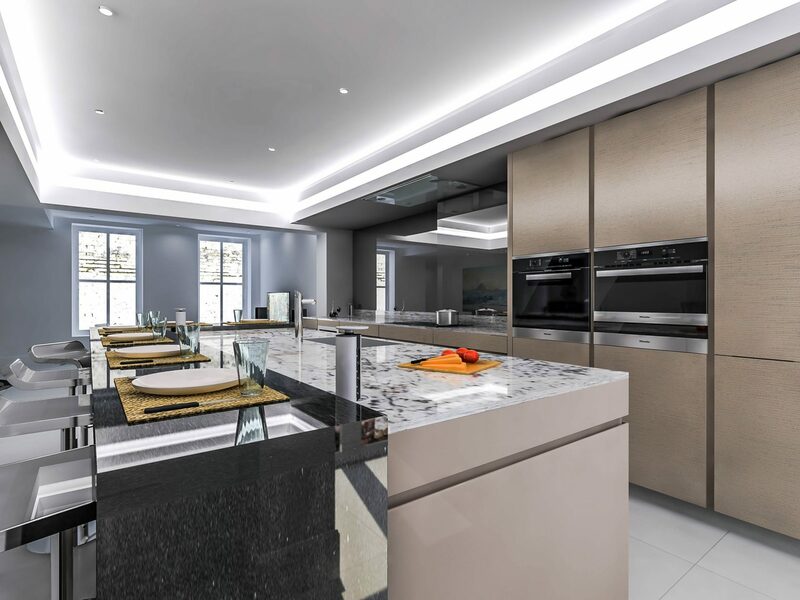 The specially toughened glass splashback adds a touch of elegance and practicality, whilst Miele ovens complete the look with their clean aesthetic and high quality engineering. 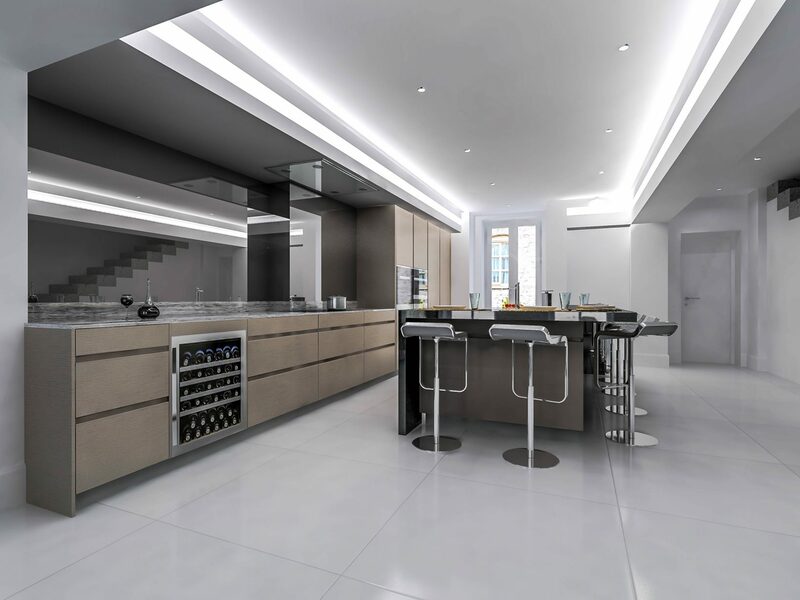 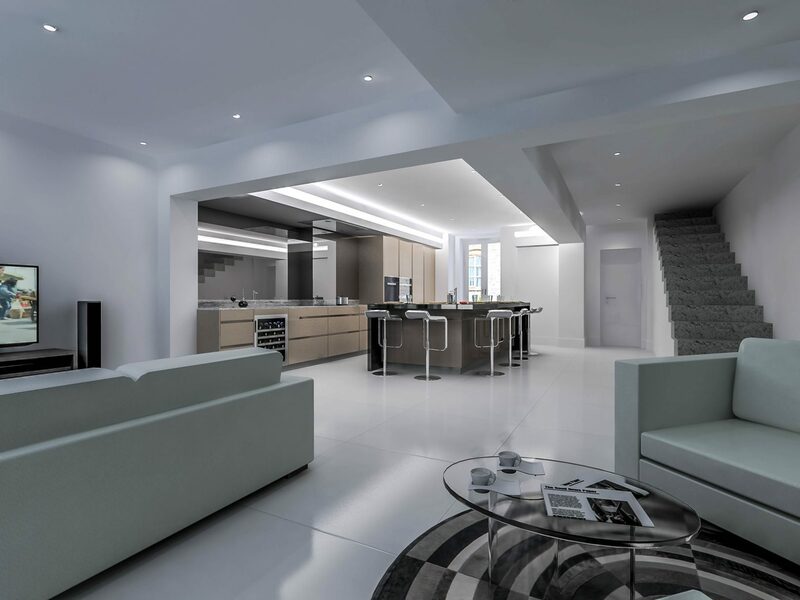 Truly, this kitchen installation combines both style and substance to an extraordinary degree!